CALGARY, ALBERTA, May 27, 2012 - Antoine L'Estage (St-Jean-Sur-Richelieu, Que.) 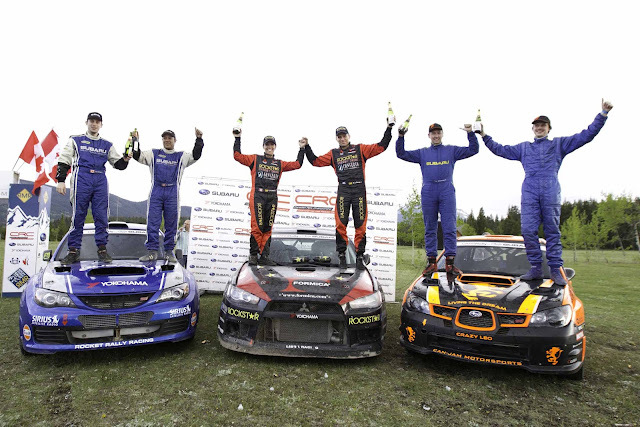 won the 2012 Rocky Mountain Rally, the second round of the Canadian Rally Championship, leading from start to finish to claim his fifth win at the Calgary based rally. With co-driver Nathalie Richard, L'Estage took the lead early on day one, and never relinquished the advantage on the way to victory. Challenging road conditions on day one saw the team excel in wet, muddy, even snowy conditions before moving to dry gravel stages for day two. 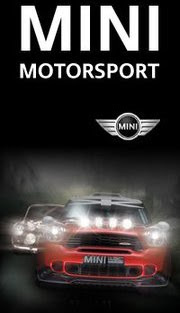 “The car was perfect, the crew was great, Nathalie was perfect. We had the right tires for each of the different conditions on this rally, and we have maximum points possible in the championship,” said L'Estage. 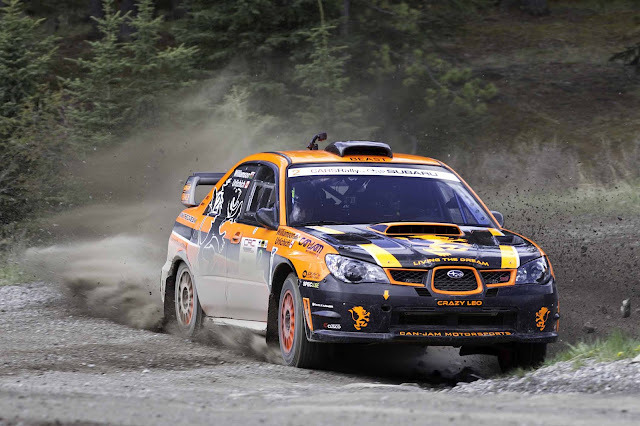 Winning at the Rocky Mountain Rally also allows the team to extend their lead in the Canadian Rally Championship, having also won the season opener, Rallye Perce Neige, in February. Behind L'Estage and Richard, there were a number of battles, including that for second place. Pat Richard (Squamish, B.C.) 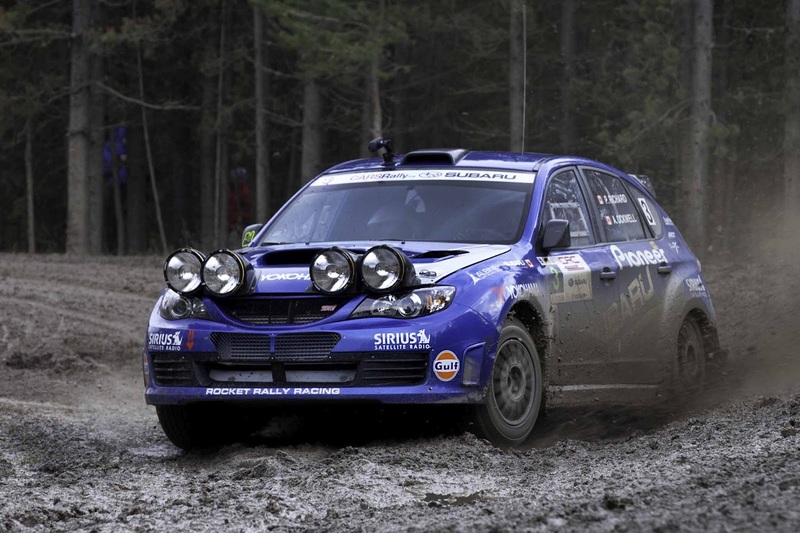 and Alan Ockwell (Toronto) of Subaru Rally Team Canada suffered multiple setbacks on day one, but were not deterred and pushed hard to make up time on rivals Leo Urlichich (Toronto) and Carl Williamson (Wales). Richard was forced to push harder on each subsequent stage on the final day in order to make up for time lost on day one, when at the start of the final stage of the day, the rear differential exploded when Richard launched the car. Though the car was able to be repaired overnight, the team awoke to find they had been assessed 45 seconds in chicane penalties. The second place finish means Richard and Ockwell, who failed to score points at the season opener, are now on the board in the championship standings. “I'm still not satisfied. I come to these events to win, and we had some problems yesterday. We've got some homework to do before the next event,” said Richard. Though Urlichich and Williamson finished third, the pair had arrived at the event hoping to find the extra speed to challenge Richard and Ockwell. Over the first day's muddy stages, they indeed found that pace, but once on the drier stages of day two, Richard was simply too fast. A two-day battle also raged for fourth place, between the Calgary based team of Eric Grochowski and Leanne Junnila and Kris Schofield (Calgary) and Jennifer Daly (Kelowna, B.C.) for the two wheel drive victory. Grochowski and Junnila had made some improvements to their VW Golf, most notably a new, more powerful motor and carved out an early lead on the first day, until overheating problems in the evening cost all of the lead. The pair entered the second day of action four seconds behind Schofield and Daly. However, Schofield and Daly experienced their own mechanical problems, when they broke both the brake and shock on the rear passenger corner of the car. Those were issues that, along with a deficit in power, would hamper their performance on the extremely fast Hunter Valley stages of day two. “With the brake failure, and pretty much the whole rear passenger corner of the car – no suspension and no brakes – that probably slowed us down a little,” said Schofield. With a fully functional car after overnight repairs, Grochowski and Junnila were able to press their power advantage to retake the lead and open up a safe margin over Schofield and Daly, winning two wheel drive. Schofield and Daly took second in class, while Andrew Comrie-Picard (Los Angeles) and Brian O'Kane (Calgary) finished third. The victory in Production GT – a class for nearly showroom stock all wheel drive cars – was claimed by Eric Pehota and Richard Doucet of Pemberton, B.C. The Rocky Mountain Rally is the first gravel round of the six event Canadian Rally Championship, and is made up of 13 stages, totalling 184km of competitive distance. 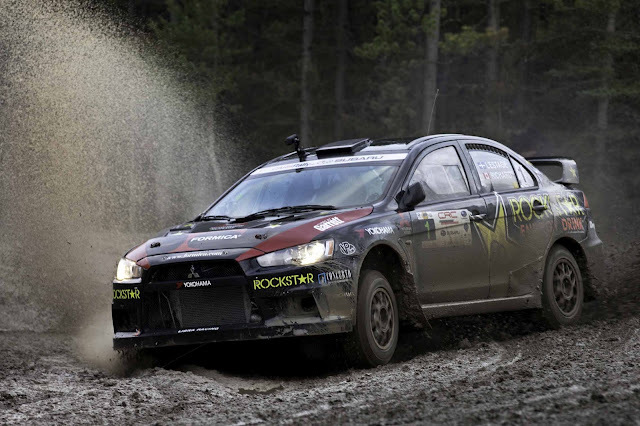 The second round of the championship, the Rocky Mountain Rally is the first western event of the year.